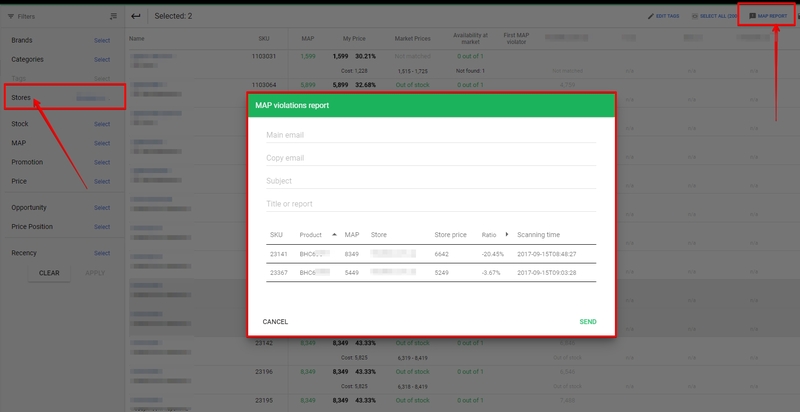 The "MAP report" option allows the User to compile and send the report directly from the UI. In order to send a notice to a specific retailer, you need to select the appropriate store in the filters section. Next, select items with violations, in the menu that appears, enter information about the recipient of the notification and press send.